A fresh crop of talented rookies is one of the biggest stories of the 2019 IndyCar season - Felix Rosenqvist in his first season with one of the sport’s greatest teams, Marcus Ericsson making the switch from F1, and of course Colton Herta, who has just become the youngest winner of all-time. There’s another young hotshot who’s also making headlines, though: 19-year-old Patricio O’Ward. In just his second start he qualified and finished an impressive eighth. 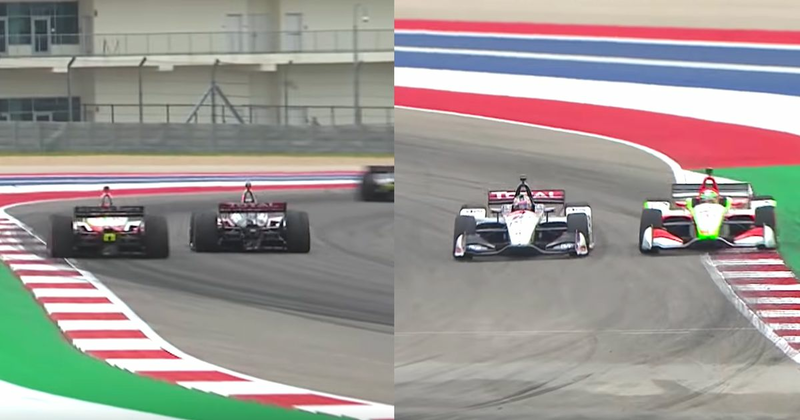 It was a battling drive, too, which included this absolutely incredible pass around the outside of Graham Rahal at turns 16, 17, and 18. His performance is made all the more impressive since he missed out on the pre-season test session at the track, didn’t take part in the season-opener, and hadn’t driven the Carlin-prepped car until Friday practice. O’Ward was supposed to be Herta’s teammate at Harding Steinbrenner Racing this season before sponsorship issues left him out of a drive. He’s since signed with Carlin to do 13 of the 17 races this season - better than it could have been, but still kind of a shame as it means there are still four races where we won’t get to see him pull off moves like that!